According to the sites index, while NegocieCoins and TemBTC were the exchanges which contributed most to this record , other exchanges too had their share to it. This includes exchanges like the Bitcoin Market , Bitcoin Trade , BitBlue , bTCBolsa , 3xBit and BitCambio which all had more than 100 BTCs traded over a 24-hour period. And its not just Brazil thats growing, Argentina to is envisioning to be a crypto leader in the region. In a recent announcement, the government of Argentina had said that it wants to become a leader in technological innovation in Latin America, and for that, it is implementing a national plan in which it predicts that the country will be the most technologically advanced continent by 2030. 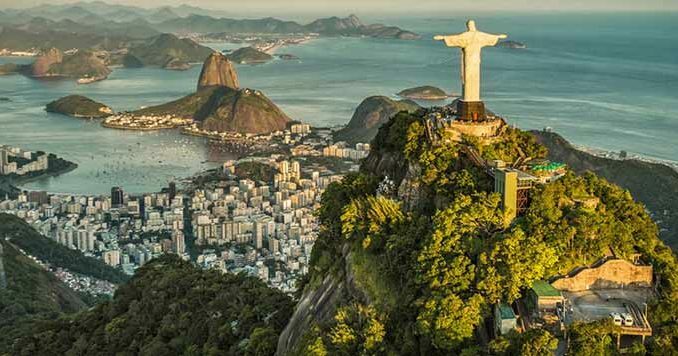 Its a welcome sign for crypto believers that big countries like Brazil and Argentina are putting forward examples of how cryptos could change the world. With economies slowing down across the globe, the world could soon witness a lot of countries following the example of Brazil and Argentina.